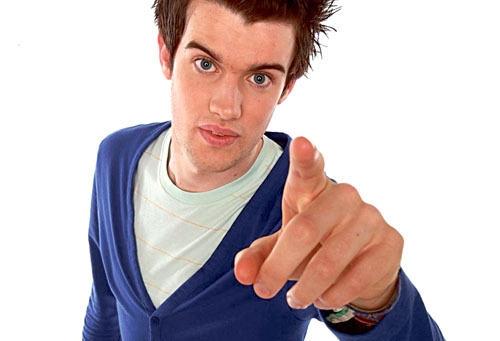 HE IS only in his early twenties but English comedian Jack Whitehall has already made a remarkable impact upon the comedy world. In 2009, he was nominated for the Best Newcomer Award at the Edinburgh Comedy Awards for his debut solo Fringe show, Nearly Rebellious. In July 2010 he performed at the Montreal Just For Laughs Festival as part of the prestigious New Faces line-up and was picked out by Hollywood industry bible Variety as one of its ‘10 Comics to Watch. That year he also returned to the Edinburgh Fringe with Learning Difficulties, once again picking up great reviews and playing to packed houses. He will be best known to many in Ireland for his appearances on Michael McIntyre’s Comedy Roadshow and Never Mind the Buzzcocks, a panellist on 8 Out of 10 Cats, as co-writer and host of Channel 4’s TNT Show, and as the host of Big Brother’s Big Mouth in 2008, Celebrity Big Brother in 2009.